More than 30 years after Argentinian forces made a failed attempt to seize the Falkland Islands from the British, Argentina’s Central Bank has announced the introduction of a 50 peso note with the archipelago emblazoned on the front. On the reverse side of the colorful note is an image of Antonio Rivero, the Argentinian rebel leader who led an 1833 uprising in an effort to reclaim the islands from the British. Rivero, today a folk hero in the South American country, is pictured on horseback waving an Argentinian flag above his head. The new banknote, which is worth £3.70 ($4.20), is scheduled to enter circulation next month. 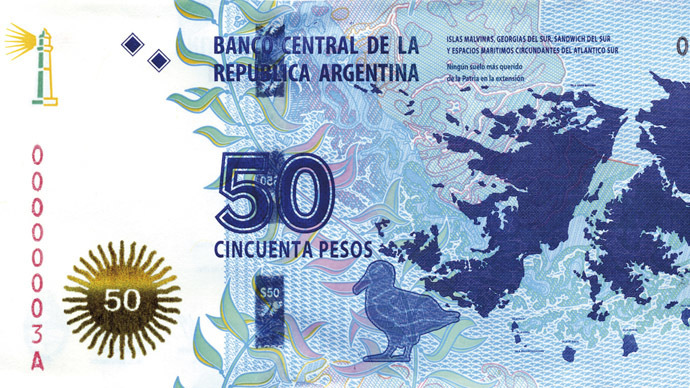 Last April, Argentine President Cristina Kirchner announced the creation of the new 50 peso note at an event commemorating the 32nd anniversary of the Falklands War. She unveiled a large model of the banknote that had been covered by the Argentinian flag. Kelpers, the name of the people who inhabit the Falkland Islands, responded to news of the banknote with their own brand of humor. News of the banknote is predicted to upset Britain, which lost 255 soldiers in the conflict that began on April 2, 1982, and ended 74 days later with Argentina surrendering. Argentina lost 649 soldiers in the conflict. The Falkland Islands have long been a source of tension between Britain and Argentina. A British territory since 1833, Argentina has always claimed the archipelago as its own after receiving it from Spain in the 1800s. In 1982, Argentina invaded the Falklands in an effort to reclaim the island chain. Britain responded by sending troops to defend its overseas territory and citizens. In 2013, a referendum saw 99.8 percent of voters declare a preference to remain under British rule. 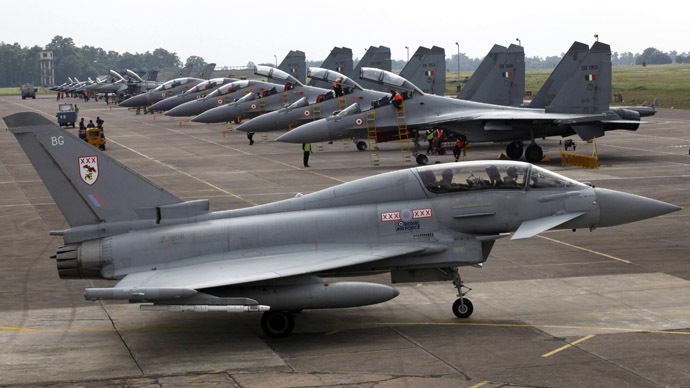 Following recent news that Argentina is planning to acquire Russian fighter jets, Britain said it would send £228 million-worth of “super missiles” to provide its contested overseas territories with extra protection. Meanwhile, tensions over the archipelago between Britain and Argentina is also aggravated by the possible large oil reserves that are believed to exist in the contested area. In 2013, Argentine lawmakers passed legislation that would result in punishment and possible prison sentences on anyone caught exploring the Falklands’ continental shelf without its explicit permission.